Having pushed to bitbucket I got this "image". What is this? When you push to a Git server, it can send arbitrary text back that is displayed on your terminal. This is frequently used for error messages, information on the server you are pushing to, or the like. 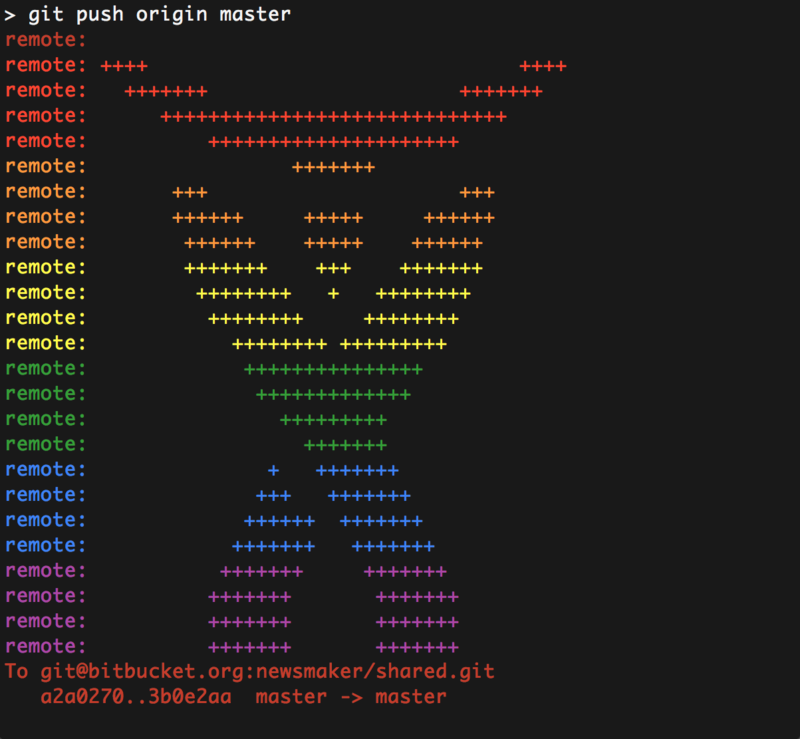 In this case, it is the Atlassian Logo, as Atlassian are the owners of Bitbucket, colored using ANSI escape sequences as a rainbow, likely to celebrate today's Supreme Court's decision to strike down laws against gay marriage in the US. It is also being applied each year, on or around the anniversary of this decision. Many sites around the internet have switched to rainbow colored version of their logo for similar reasons, including StackOverflow. Of course, as a US decision, this is probably going to be puzzling to some of those outside of the US. You can disable these kind of messages on Bitbucket by going to your account settings and unchecking the “Enable console messages” setting. Why did git push origin master draw ASCII art?